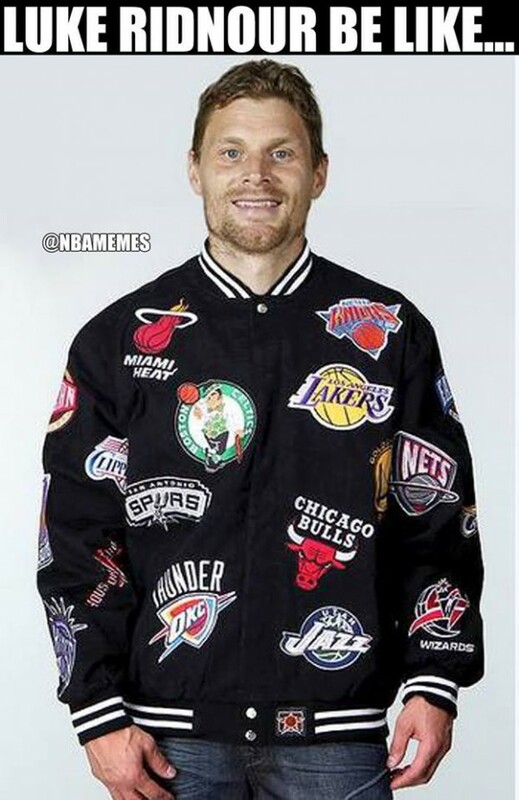 In the last seven days, Luke Ridnour has been moved around from the Orlando Magic, to the Memphis Grizzlies, on to the Charlotte Hornets and from there to the Oklahoma City Thunder. But his trade saga is not over, with the Toronto Raptors becoming his next stop. So what’s next? Who knows. But Ridnour, who has the kind of salary ($2.75 million) which makes a very good fit in a lot of deals, might not remain part of the Raptors. He can still provide a mostly decent service as a backup guard, but anything more than 10-15 minutes a night is a bit too much for him and the team that plays him. Teams aren’t done signing free agents and figuring out their cap situation, which probably means Ridnour isn’t done moving around. He has so far been traded for the rights to Janis Timma, then for Matt Barnes. When he got sent on the same day to Oklahoma City it was along with a second round draft pick for Jeremy Lamb. His latest stop, the Toronto Raptors, acquired him while sending the draft rights to Tomislav Zubčić. The Thunder sent Ridnour along with cash considerations. The 34 year old 12-year veteran has played for five different NBA teams, with his longest stay being in Seattle from 2003 to 2008, the franchise’s final year in the city. He has career averages of 9.3 points and 4.5 assists in 26.1 minutes per game.